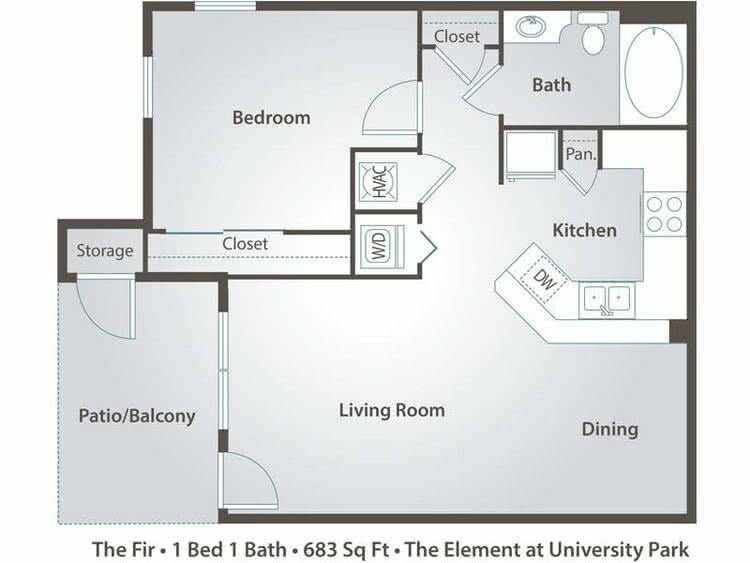 At The Element at University Park, you have the pleasure of choosing from five distinct floor plans. We offer one bedroom and two bedroom apartments for rent in Bryan and are sure to have the perfect home for you and your family. 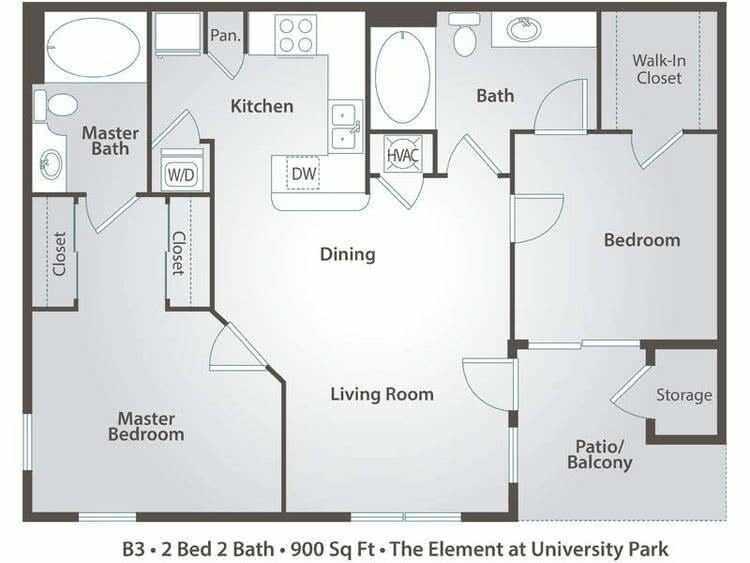 With newly upgraded interiors and washer and dryer appliances, you will love coming home to your new apartment. View all By the Bed apartments!